Nationwide League One side, 36 Lion Football Club have announced the signing of nine new players ahead of the 2018 season scheduled to kick off on Thursday April 6, 2018. 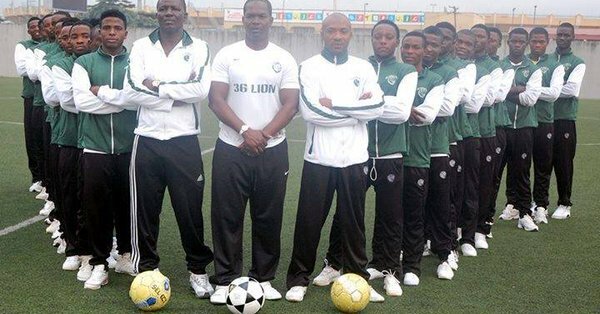 36 Lion signed exceptional players in the off-season as they prepare another season in the NLO Division One. The duo of Quadry Ajala and Ayoade Babatunde, were signed from Team 360 Football Club. Akeem Wasiu, joined from G12 FC, while Chukwu Chinendu, was recruited from FC Bethel, and Chiroma Yazidu signed from Obazz FC. Teamidayo Okanlawon, Quadry Liameed, Chidubem Nwosu and Mohamed Tijani graduated from the club Under-18 to the main team. Meanwhile, the club President Alhaji Gafar Liameed, has expressed confidence in the ability of the team to play in the Nigeria National League next season. Gafar, who’s a board member of Lagos State Football Association, stated that he will be excited if his team at the end of the season can secure one of the promotion to the NNL. “Our aim this season is to secure promotion to the Nigeria National League, win the Lagos FA Cup and go all the way to the Aiteo Cup finals.